Where to Buy Liquid Filled Pressure Gauge, Pressure Gauge 300 PSI - $26.95 for Sale with Fast Free Shipping! 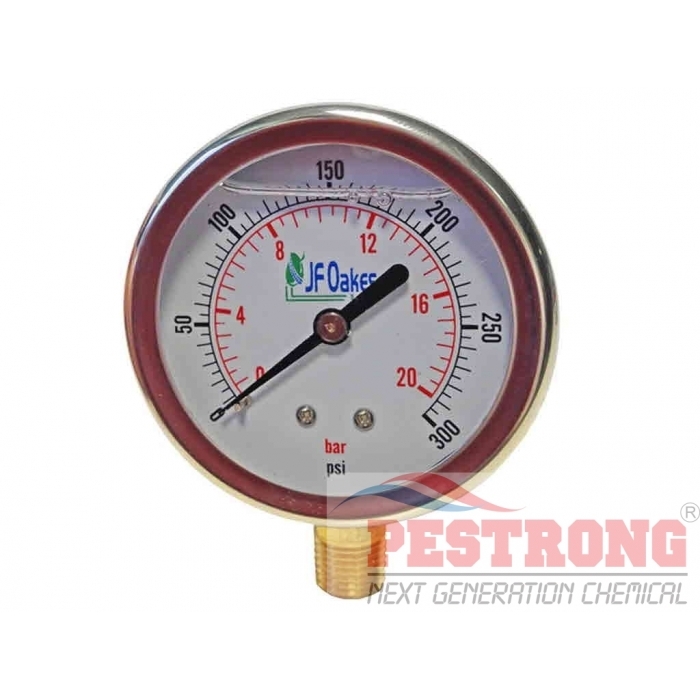 Pressure Gauge 300 PSI is a glycerin filled pressure gauge that designed for use where shock or pulsation cause premature failure of pressure gauges. The standard glycerin filling or optional silicone filling will dampen the tube and pointer movement. The fill also lubricates and protects the movement and prolongs the life of the gauge. Liquid filled gauges are often specified for hydraulic applications and for machinery or devices that are used in rough service. For use in agricultural and pest control spray units.